Parent taught driver educuation is by far the most popular type of driver education training in Texas. Parents in Texas have the option of using a Texas driving school, or use the State parent taught method, which is available as an online classroom course for teens under the age of 18. A designated parent, grand parent, or legal guardian with Texas drivers license provides the actual in-car driving lessons. The first and foremost advantage to using the parent taught method is the cost factor. Traditional driving schools are very expensive and unless you close close to a larger metropolitan area, can be difficult to find. The other advantage is flexibility. A driving school requires adherence to a daily schedule over a period of time and also requires parents to provide transportation to and from the school. This isn't always practical for working families. With a TDLR approved parent taught driver education course, parents and teens work on the course as their time permits. There are no time constraints. Students complete the traditional classroom training online and can log into and out of the course from any computer at any time. After the first six hours of the course, and being at least fifteen years of age, the student can apply for their Texas learners permit. After receiving their learners permit, students can begin the in-car driving lessons with their designated parent instructor, as well as gain valuable driving experience on short trips to the store and other errands with a licensed driver. Texas adults who are 18 and not over than 25, who are first time drivers and did not complete a teen driver education program, are required by the State of Texas to complete a six hour Adult driver education course. This course includes six hours of interactive online training as well as the actual DPS written exam taken online. The benefit of this course is that it can be completed online and in a single day, or the student can complete an hour or two per day as their schedule allows. This makes is very convenient for those with a busy schedule. The course prepares young adults for everything they need to pass the DPS written test, which is actually taken as the final test in the course. This saves an additional trip the DPS, where the test is normally completed. After course complete, and passing the final test, the student will have immediate access to their ADE-1317 certificate. This certificate is proof of passing an approved Adult drivers ed course and the DPS will require this certificate to issue a learners permit or drivers license. The student has two options upon course completion; If the student already knows how to drive, they can schedule the DPS road test at their local DPS office. If the student is not ready to take the road test, the DPS will issue a Texas learners permit. This allows the student to legally drive with a Texas licensed driver over the age of 21 in the passenger seat. 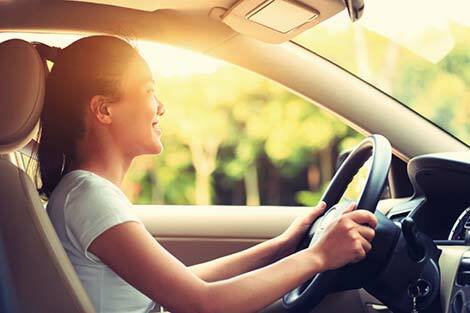 After gaining valuable driving experience, the student can (with no time constraints), return to their local DPS office and schedule the road test. After sucessfully passing the road test, the DPS office will issue a Class A drivers license. Adults needing to take this course and have driving experience, can often take the course in a single day, their road test the following day, and have their Texas drivers license in the same week. For more information about this and other approved Texas drivers ed courses, visit our Online Texas Drivers Ed website.